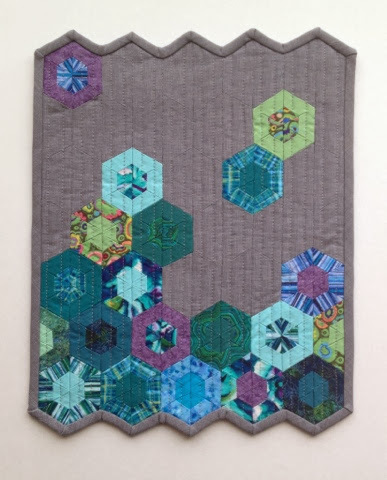 Although Jaybird Quilts has released some mini patterns recently, I couldn't wait any longer to do a mini Science Fair. 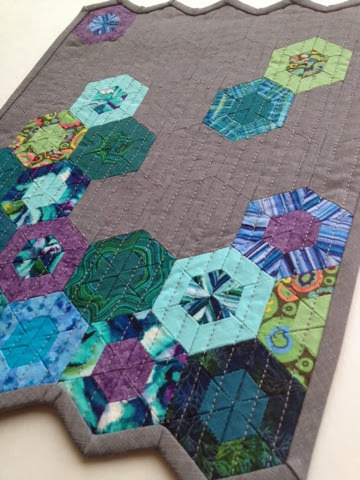 I used the smallest Half Hex and Triangle on my Hex N More ruler and the layout for the baby quilt on the regular pattern. 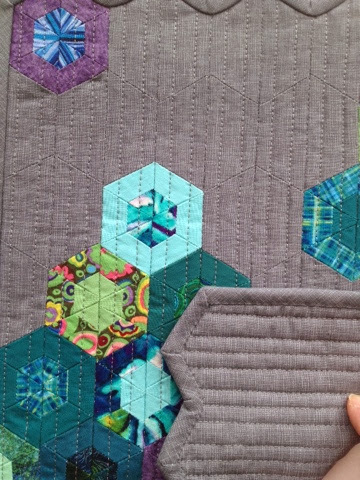 The quilting is straight lines - in the ditch and a 1/4" on each side - all in grey thread. The binding is cut on the bias and is the same fabric as the background and the backing - Robert Kaufman's "Quilter's Linen". 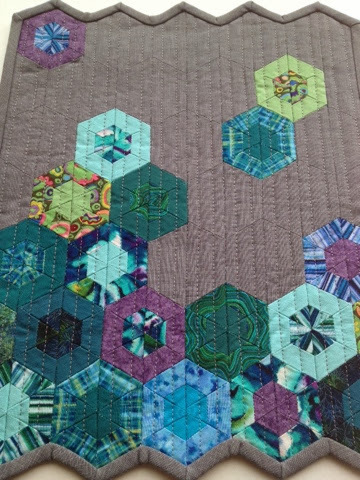 The prints and solids are all from my scrap bin but are mostly Robert Kaufman too.